Chemicals commonly used in manufacturing known as perfluoroalkyl and polyfluoroalkyl substances (PFAS) are without a doubt dangerous to our health. To help protect us, certain state governments have adopted regulations restricting their use. Unfortunately, the bar does not appear to be set anywhere near as high as it needs to be. According to a new report released by the United States Department of Health and Human Services, at the levels the Environmental Protection Agency considers safe, these chemicals might be extremely hazardous to our bodies.1 The results are based on an examination of PFAS chemicals, including perfluorooctanesulfonic acid (PFOS) AND perfluorooctanoic acid (PFOA). Using rodents as subjects, the investigators determined that both PFOA and PFOS produced health problems at exposure levels significantly lower than the equivalent level said to be safe for humans. The EPA currently places the advisory level for these chemicals at 70 parts per trillion. Frighteningly, however, the researchers found that the rodents were negatively affected by exposure seven to ten times below this level. The EPA was not able to provide a level at which they could say exposure would certainly be safe. While we know that the results of animal studies often do not translate directly to produce the same effects in humans, the findings of this research are still extremely troubling. Previous research has shown these chemicals to be highly toxic to both animals and humans. And PFOA and PFOS are pervasive, having been used in products as wide ranging as non-stick cookware, stain-resistant carpeting, fast food packaging, and firefighting foam. But what the scientists who developed these chemicals back in the 1940s did not count on was that contamination from PFAS began to accumulate in the environment with levels climbing ever higher. PFOA and PFOS are now found in soil and water samples almost everywhere, and they persist indefinitely. In fact, the Environmental Working Group, a non-profit organization that focuses on issues of human health and the environment, estimates that 16 million Americans consume drinking water with levels of these chemicals higher than the limit designated by the EPA. And lower levels of these chemicals have been measured in samples from more than 1,500 water systems around the country, which means many millions of people are affected. PFOA and PFOS have been linked to a variety of health problems, including kidney cancer, testicular cancer, thyroid disease, fertility issues, immune system disorders, and arthritis. And unfortunately, no matter how healthy we strive to be, there are things in our environment, such as PFOA and PFOS chemicals, that we cannot entirely avoid. Studies have detected the presence of fluorinated chemicals in blood samples of 98 percent of adults and children. In an ideal world, the federal government would pay close attention to findings such as those of the current research and adopt much stricter guidelines for companies producing these chemicals, but we can’t wait for that to happen. With that being said, there are ways we can limit our exposure at least somewhat. Don’t purchase kitchen cookware with non-stick surfaces that contain PFOA and get rid of any you already own. Avoid clothing or outwear that is advertised to be water repellant or water resistant, again if it contains any of these chemicals. Don’t buy carpeting or furniture touted for its stain resistant qualities. Get yourself a water filter, distiller, or RO system for all drinking water in your house. 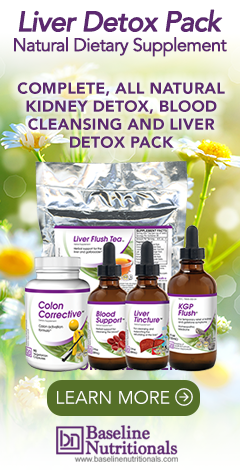 And make sure to commit to a regular detox program to help rid your body of PFOA and PFOS chemicals that would otherwise remain in your system for years. 1. "Toxic Substances Portal - Perfluoroalkyls." Agency for Toxic Substances & Disease Registry. 20 June 2018. Accessed 27 June 2018. https://www.atsdr.cdc.gov/toxprofiles/tp.asp?id=1117&tid=237.